The new patch is hitting the live servers early tomorrow morning. 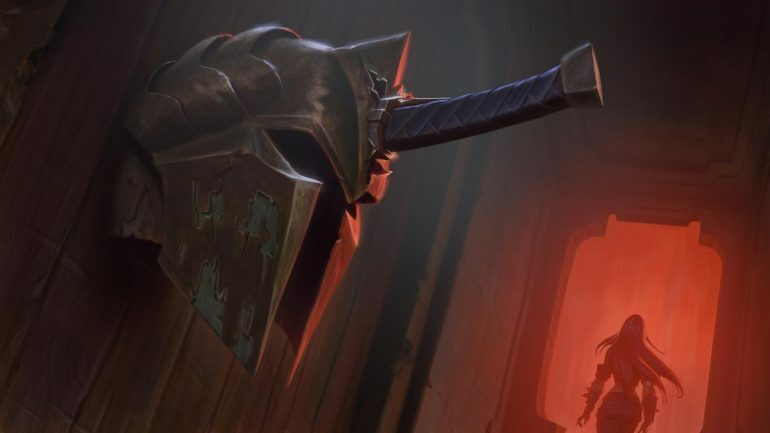 League of Legends Patch 9.3 is dropping tomorrow morning, and with the updates to champions and items, Riot Games has released a set of new lore. The full patch notes are yet to drop, but for those with a keen interest in the story behind Runeterra, the world of League of Legends, and its many characters, you’re in for a treat. The new changes and updates come as part of Riot’s push over the last year to expand its extensive universe and help further bind its cast of 143 champions closer together. Riot has wholeheartedly admitted in the past that it handled the lore-building behind League of Legends haphazardly. It previously allocated lore writing to enthusiastic members across many different teams in the company. “If it felt like the left hand didn’t know know what the right was doing, it was because those hands were often separated, and on vastly different products” it wrote in a lore update at the beginning of the 2018 season. Since then, Riot has followed through and started to properly manage and review every piece of new lore, every story, script, and bio created by its narrative writers, in order to help improve the ongoing problem. This has resulted in the lore finally making much more sense. League of Legends Patch 9.3 is another stepping stone in the right direction for the ever-expanding universe. Annie has a new story, developing her relationship with her bear Tibbers. Katarina’s lore has been revealed, detailing a fierce battle and unravelling her past. Master Yi’s story is told in further detail. Udyr’s lore has been updated, telling the story of how he was crippled by his own powers. Sejuani’s upbringing has been highlighted. And finally to round off the new changes, Jarvan IV’s lore has been revised, including the circumstances of his birth. Patch 9.3 is set hit the live servers early tomorrow morning. NA servers will go down at 5am CT, and EUW servers at 5am GMT. Maintenance is scheduled to last for three hours.